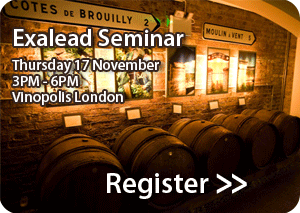 Improve your business by discovering our Rome and London seminars. Mike Davis, Senior Analyst at Ovum, will introduce “The New BI” at our London seminar, “ The changing face of BI” on November 17th from 3PM to 6PM. 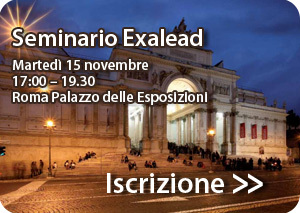 Laurent Couillard, Exalead CEO, will speak at our Rome seminar on November 15th from 5PM to 7:30 PM.